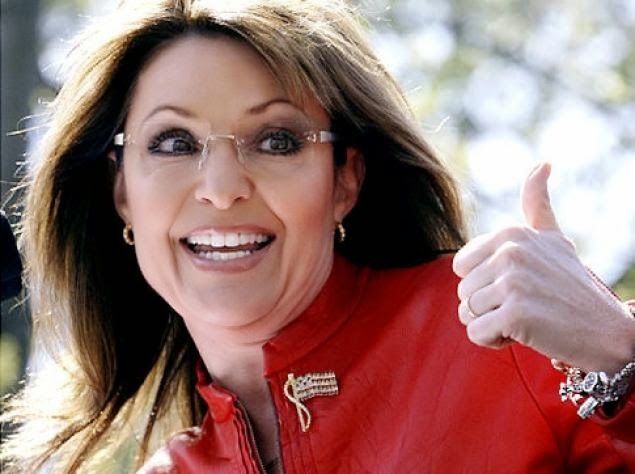 Perhaps enough time has passed that when you think about Sarah Palin, her antics seem almost cute in their absurdity. You know, "I can see Russia from my house!" or nicknaming herself a "Mama Grizzly." With any luck, you might think, the biggest dent she'll leave on American history is her quirky run for the vice presidency that will make for great Trivial Pursuit fodder one day. "The America I know and love is not one in which my parents or my baby with Down Syndrome will have to stand in front of Obama’s “death panel” so his bureaucrats can decide, based on a subjective judgment of their "level of productivity in society," whether they are worthy of health care. Such a system is downright evil." To what evil piece of legislation was she referring? Of course, the part in the Affordable Care Act that proposed reimbursing physicians for advance care planning. Palin's claim was immediately debunked, but the smear worked: the "death panel" ripples significantly jeopardized the passage of the bill, the idea of creating a reimbursement code for advance care planning was scrapped, and many Americans swallowed the poisonous idea that the government has a secret plot to ration healthcare via advance directives. Never mind that the entire point of advance directives is to give people more, not less, control over their healthcare, and people want to talk about these subjects with their doctors, but report that they are rarely asked. I still hear reverberations of Palin's twisted logic in conversations with patients and their families, five years later. The other day, I was talking with the son of a woman in her nineties who was delirious and clinically unstable in the hospital. She did not have an advance directive, but had recently begun to share her preferences for end of life care with her family: no heroic measures, she told them. But her son was not comfortable with the suggestion of a do-not-resuscitate order, and repeated over and over to me, "I just don't believe her. I don't think she wants to die!" He was adamant that her quality of life and mental status were good before this hospitalization. I gently countered his reasoning, and told him that refusing CPR and mechanical ventilation if her heart or breathing stopped did not mean she wants to die, nor would making a decision about how to respond in the moment of her death change the care she would receive up to that point, and in particular, would not hasten her death. He did not need to prove to me that she was valuable, or loved, in order for her to continue to deserve good medical care. I wonder if we rewound the clock and deleted Sarah Palin's post, if my patient's primary care doctor would have taken the time to explore her values and preferences, and document them (with the benefit of reimbursement for his efforts) so that her son wouldn't feel like he needed to make that decision on his own. I wonder if Sarah Palin hadn't forged a false association between honoring a person's preferences about resuscitation and their perceived worth in society, my patient's son might have had more confidence in the medical system continuing to care for her even if she didn't want CPR and mechanical ventilation at the very end. Though Palin's inflammatory, baseless post set back the movement toward patient-centered care at the end of life by years, the tide is finally starting to turn. The Institute of Medicine report on Dying in America stated that "advance care planning is critically important to ensure that patients’ goals and needs are met," and suggested the development of quality standards for clinician-patient communication and advance care planning. And in exciting news, as posted on Geripal earlier this month, the Center for Medicare Services (CMS) included codes for reimbursing physicians for advance care planning in the Medicare Physician Fee Schedule released on October 31st, for the first time. Unfortunately, CMS did not agree to start reimbursing for these codes yet, but indicated its receptivity to this idea in the future. They also welcomed comments on the subject on their website. Pallimed has a great post with more detail here. If you haven't yet, please take a moment now to leave your comment for CMS in support of advance care planning, and gain back the ground we lost to death panel fear-mongering. The opportunity to post is open until December 30th-- consider it a holiday gift to your favorite Mama Grizzly. Thanks for the heads up! Great post. The writer of this article is apparently unaware that Sarah Palin never said "I can see Russia from my house". That quote goes solely to Tina Fey of Saturday Night Live fame. Once I saw that the "author" couldn't even identify a simple quote properly, there was no point in paying any heed to further scribbling. If a writer is going to begin her article with a lie, everything else she has to say is without merit, and should be completely disregarded. Thanks for the fact-check, llz Thatllz. You're right, Tina Fey exaggerated a similar statement Palin made about being able to see Russia from Alaska, but Palin herself did not say the exact quote above. I hardly think it invalidates the rest of the post, but everyone is entitled to his opinion. As far as the 'death panels' statement, many have subsequently agreed with her, including of all people, Mark Halperin, the author of "Game Change", an anti-Palin book. Going back to the "I can see Russia" smear, Fey did not exaggerate Palin, it was a complete distortion. And for answering the question directly in a forthright manner, Fey turned it into a joke, that the media has been running with for over six years now a continuing effort to ridicule the woman. Goebbel's was right, if you tell a lie long enough, eventually people will come to take it as truth. Apologies if I seemed harsh, but as one of tens of millions of Americans that greatly admire Sarah Palin, you'll excuse me from defending her against those that perpetuate myths and falsehoods. Thank you, my last intention was to create a myth, or a falsehood, that might deliberately deceive people. Thanks for the transcript of Mark Halperin's statements. This in no way proves to me that Sarah Palin was right about death panels though, see above for why. "I just had a phone call where someone said Sarah Palin's web site had talked about the House bill having death panels on it where people would be euthanized. How someone could take an end of life directive or a living will as that is nuts. You're putting the authority in the individual rather than the government. I don't know how that got so mixed up." The Death panel argument has little to do with those having an End of Life directive or Living Will. It has to do with denial of care that ultimately ends in death due to a patient having a low probability of survival, and NOT having a directive.Those deciding what an acceptable probability is,and which patients are deemed non-recoverable is at the heart of the argument.